Teaching Good Eaters: Are Fun Lunches Just the Domain of a Supermom Wannabe? Are Fun Lunches Just the Domain of a Supermom Wannabe? Before the first day of school, my daughter asked if I would make a "fun lunch." To be honest, I was not very enthusiastic. 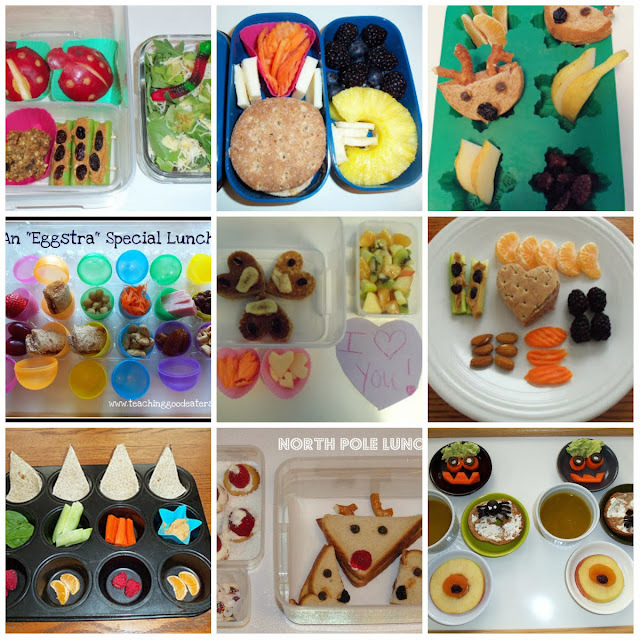 When I started the blog, I discovered muffin tin meals and bento-style lunches. I realized that presentation really did make a big difference in getting my kids to eat better food. It was a great way to make healthy food seem like a treat. Plus, making the lunches was fun. I enjoyed planning them, making them, and seeing the reactions from my kids. I felt a bit like a supermom. And then my enthusiasm waned. I felt like I needed to be creative and I had no creativity left. 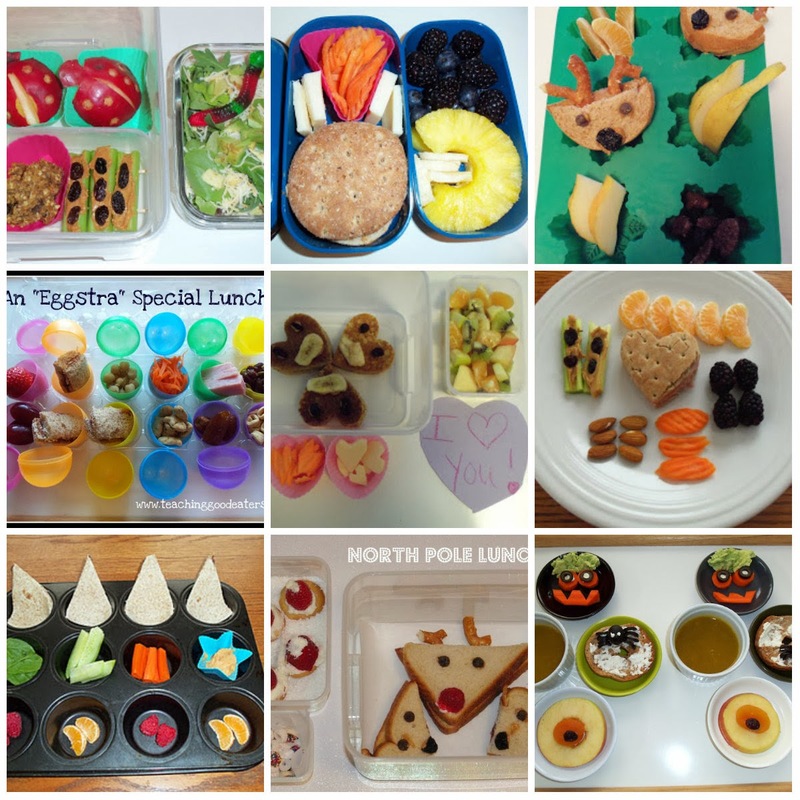 I saw all of the amazing muffin tin meals and bento lunches that other moms were making and I knew that even if I wanted to, I could never keep up. My daughter would occasionally ask if I was ever going to make a fun lunch again, but most of the time I was rushing to pack her lunch in the morning, while also making breakfast and trying to get everyone out the door on time to school. There wasn't any time or mental energy for fun. Fast forward to this school year. My son would now also be packing his lunch and the first day of school would be his very first packed lunch. He had seen all of the fun lunches that I used to pack his sister, and I figured he deserved to get one too. I googled first day of school lunches and decided to make pencils using carrots with an olive tip and a piece of ham for an eraser (glued on with hummus.) I made a square quesadilla and then used olive slices to look like notebook holes. I cut red peppers into the shape of erasers. It took forever. I was exhausted. I didn't even take a picture. I just put the lunches away in the refrigerator and finally went to bed, excited for my kids to open their lunches the next day. "It was ok, but next time can you not put the ham with the hummus?" As it turns out, by the time the lunch got to school, the pencils that I spent upwards of an hour "crafting," had completely come apart and looked nothing like pencils. The erasers never really did look like erasers and the "notebook," had no real meaning without the other "school supplies." It felt like a complete waste, and I haven't done a fun lunch since. And then, I started up the blog again, and began looking at posts and pictures that I hadn't thought about in some time. I remembered that making muffin tin meals didn't have to be harder than making a regular meal and could actually come in handy when I had no idea what to serve for lunch. This lunch's theme was, "Cleaning out my fridge." I remembered that my boys also ate a wider variety of foods when served in this way and it was a great way to introduce a small amount of something new. I remembered that my daughter was excited about carrot hearts in her lunch, even if the rest of the lunch was pretty boring. 5 Ways to Make a Fun Lunch Even if You're Not "Supermom"
1. For lunch at home- Easy. Grab your grubby old muffin tin, baked on gunk and all, and toss a few things into the compartments. It will seem incredibly boring to you and incredibly amazing to your kids. 2. For a packed lunch, pull out the cookie cutters or even a knife and create a shape out of something. Learn to make carrot hearts (it's easy, I swear) or buy some cool Vegetable Cutters . Spent way too much time cutting out little quesadilla numbers... and check out the mangled egg--- I tried using an egg mold--I never did master those! 5. Smile and know that your kids haven't seen all of those superamazing lunches on Pinterest. They just know that yesterday they had baby carrots which they may or may not have thrown in the trash and today they are eating carrot hearts. Here was today's lunch, which was as step up from the way our lunches have been around here lately. This year it has been pretty much sandwich, apples, plus whatever else I can find at the last minute to toss in the box. Part of the deterrent is that I've lost nearly every lunch container we have and I can never find enough little containers to contain multiple parts of a lunch. I'm thinking that it's time to invest in some EasyLunchboxes and toss all the rest! What simple things do you do to make lunch more fun? Disclosure: All links leading to Amazon are my affiliate links. That means that if you click on them and buy something, I am paid a small advertising fee.